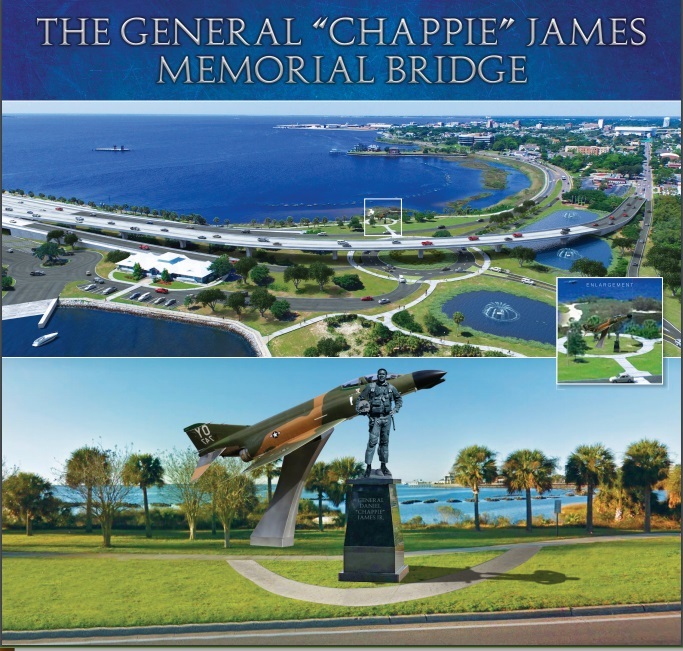 Recently there has been a lot of discussion over the naming of the new Pensacola Bay Bridge for Pensacola Native General Chappie James. If nothing is done, the current name of former State Senate President Phillip D. Beall will be the name of the new bridge. However, renaming a span when a new bridge is built is a very common thing and can be done by the Legislature. In fact the “Beall Bridge” was a rename of the original Johnson Bridge that is now the fishing pier. Even that bridge changed names as it was first a toll bridge built in 1931 which was later named for Thomas A. Johnson in 1948 after he had the toll removed. Representative Alex Andrade (Rep-D2) says he will not file this bill this session, although he supports the end goal of the Chappie name. He wants to wait until all four local legislative bodies (Gulf Breeze City Council, Santa Rosa Commission, Escambia Commission, and Pensacola City Council) officially endorse the new name. Only Pensacola City has formally done so, and it’s on the agenda for the other three. Andrade also says that since the completion date is still two years away, there isn’t any urgency for this session. However, there was a deadline for filing a naming bill in this session last Friday, but NewsRadio has been told that Escambia State Rep. Mike Hill (Rep-D1) and Hillsborough State Sen Daryl Rouson (Dem-D19) have both submitted a proposal to be vetted for language, a pre-process to formal filing. This means the discussion of the proposed name change is in process at the state level and may become a reality this session.